Gurdeepak Singh, Indian, is a qualified Yoga Teacher and a hobbyist mountaineer and climber living in Bern, Switzerland. A lot of his growing-up years were spent in the Indian Himalayan and Karakoram mountain ranges, from where his love for outdoors comes. He believes outdoor settings are a catalyst for self-reflections. Gurdeepak has a Post-Graduation in Human Resources from IMDR, Pune and an advanced Masters in Sports Management from the AISTS - International Academy for Sport Science and Technology at the Ecole Polytecnic Federale de Lausanne, Switzerland. He worked for five years as a trainee and later as a Manager at the International Mountaineering and Climbing Federation in Bern, Switzerland working with climbing equipment manufacturers. With his roots in Indian lifestyle and his practice of yoga asanas from his school days in India, was born the idea of Aroga Yoga School in Switzerland where he gives Yoga courses and talks on Meditation. He collaborates with his wife Stephanie, to offer these courses in outdoor settings that are the best environment in helping to heal many ailments. Stephanie (Steffi), Rainbow Kids Yoga Teacher, is working as a social pedagogue in a day school in Bern but has already worked with all age groups from 0 to 18 years. A very interesting experience was to work with children in India on an educational program in a mountain outdoor environment. Steffi is also a certified Cranio Sacral Balancing Practitioner and trained in Kinesiology. Kinesiology exercises can be implemented in the class e.g. the “lazy eight” etc. as they can help to improve cognitive functioning, motor skills and learning difficulties, also ADHD. KIDS YOGA is FUN, THRILL and simply MAGICAL! Steffi has worked many years for an essential oils producing company in Germany and is certified in Essential Oils and Ayurveda treatment. Mukesh Banka's passion is Yoga. It challenges, strengthens, encourages and educates him on a daily basis. This process of self-improvement and self-exploration that starts on the mat continues outside it also. Through persistence, patience and continued practice; he is able to lead a healthier life and seamlessly merge these benefits achieved on yoga mat with his everyday life. Yoga practice for him is about learning to live a balanced life in modern urban world. In the early 1980's, Mukesh was introduced to traditional hatha yoga under the guidance of a remarkable and captivating teacher and so began a journey. He considers himself extremely lucky in having been taught by various masters from different disciplines, backgrounds and teaching approaches. He continues to travel to learn from yoga masters and enhance his understanding and try to maintain a beginners mind. In his classes, he brings his understandings of these various backgrounds and approaches with specific focus on breath, anatomy and alignment. A liberal use of available props like chairs, tables, towels, blankets, cushions, belts, blocks etc. and creating or modifying viniyasas/ sequence of poses that his students may practice according to their specific needs and goals. Mukesh lives in New Delhi, India where he teaches Yoga at TheUrbanYogi. Stefan Boeni, MBA, RTC-200 Yoga Alliance, is an active and diligent Swiss. He started with a technical education in Zurich. After that, he moved into the field of management, dealing with sales, marketing, and personnel management and development. A two-year study (MBA) at the University of Wollongong (UOW) in Sydney, Australia turned his career and mind in a completely new direction. Back in Switzerland, he used these new findings for his new professional challenges. In 2010, Boeni finally discovered yoga on a deeper level. He immersed himself completely in the following years to this path. He traveled to India several times, learning from the masters in Himalayan region of Dharamshala. This was followed by an education as a yoga teacher approved by Yoga Alliance. Yoga became a new change in his life. From the very beginning of his yoga experience, Boeni had the desire to write a yoga book for beginners. It is crucial for him to offer the readers access to knowledge that helps him rapid learning as a beginner yoga student. 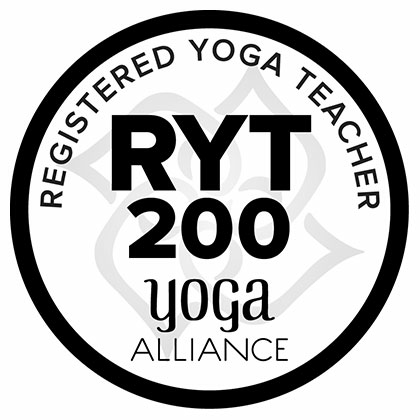 From 2019, Stefan offers Yoga Teacher Training for men YTTC-230h at Zürich, Switzerland and Mallorca, Spain. We receive support from our well-wishers and volunteers who believe in Aroga philosophy and are simply lovely people who help make this journey more beautiful. Shamanic consultant, Singer, Mother, long time Yoga practitioner and teacher. Christel Joy Kluth, war Mitglied der Deutschen Nationalmannschaft Ski Alpin. Christel ist diplomierter Counsellor und Coach von TE-TRI-ENERGETICS Niederlande & USA. Das zentrale Thema ihrer Arbeit ist Achtsamkeit im Leben zu entwickeln.